Head injuries dominated the headlines recently when the Top Gear presenter Richard Hammond crashed a jet-propelled car at nearly 280mph. For days, updates on his critical condition pushed Iraq off the top news slots. Hammond’s rapid and astonishing recovery made the nation sigh mistily. A happy ending. But, says Tennant, it’s a different story for most people who get rushed to intensive care with neurological damage. 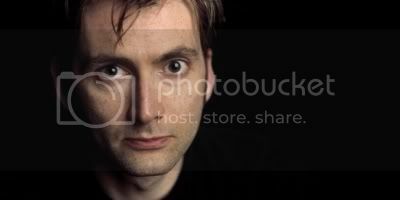 Tennant’s role in Recovery shows the sad side. He spent weeks far removed from sonic screwdrivers and Cybermen, researching his character by visiting neurology patients, their carers, nurses and medical experts, with the help of the brain-injury charity Headway. Dressed in civvies, he could be modelling for Topshop, particularly in his everyman garb of jeans, trainers and layered top. It’s Doctor Hoody. I doubt you’d spot him if he were buying a pie from the petrol station. Close up, though, it’s his energy that’s the compelling thing. But he has to turn that low when his character in Recovery, Alan, a successful builder and family man, is knocked down by a car and thrown into a world beyond his comprehension. “He wakes up altered. He’s got problems with loss of inhibition, with anger, with sequencing,” says Tennant. Sequencing? “Yeah, sequencing.” He slows his rapid-fire chat and acts his way through the enormous challenges a brain-injured person may face simply making a cup of tea. There’s the cup, the kettle, the tap, the tea . . . but which goes when, and how? I remark that there’s an odd parallel with Doctor Who: while Alan looks the same but inwardly is very different, Doctor Who can have a completely different body but his character is the same. “Gosh, yeah. I hadn’t thought about that before,” says Tennant. I rather suspect he had. But he’s a nice, polite guy, as befits the son of a Church of Scotland minister. The questions come wide-eyed and fast. I’m minded that this thirtysomething bachelor, while linked in the media to his share of attractive actresses, resolutely refuses to discuss his romantic life. It would be rude to accuse him of commitment phobia, of course, but he’s clearly one for mulling the long-term implications of the concept of “long term”. He’s also troubled by the long-term prospects of the patients he’s met. “Life can get better and easier for them, yeah. Things can be achieved that might be felt to be important. But the fact is that life is different and must be coped with differently. There were a lot of unhappy stories among the men I met — and it was mostly men who get this,” he says.